Did you know we can get increased inflammation in the body at a cellular level? This is known as chronic inflammation or systemic inflammation. It’s most commonly thought of as arthritis, and while that is a condition associated with inflammation, there are many others such as to as cardiovascular disease, diabetes, Alzheimer’s, depression, dementia, and even cancer. Other common inflammatory conditions include muscular and joint aches and pains, general physical discomfort, rheumatoid arthritis, and many other common ‘itis’ problems we hear of. If a word has ‘itis’ attached to it, that stands for inflammation. In any case, controlling the amount of inflammation in the body is one of the keys to preventing disease and just feeling plain lousy, and none of us want to feel that way, right? Thankfully there are many ways we can control it. The best way is through eating a healthy whole foods anti-inflammatory diet but natural anti inflammatory supplements can provide some great additional benefits. Supplements help assist the body to reduce inflammation and often provide fast effective relief so we can get on the right track and keep moving forward. One of the most well know anti inflammatory supplements are Omega 3s. 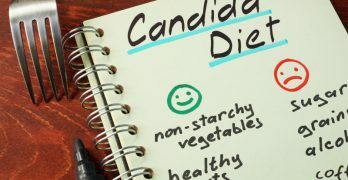 There have been many scientific studies that have proven them to largely reduce inflammation in a variety of diseases. Many of us have too much omega 6 fat and not enough omega 3’s. The issue there is that omega 6 fatty acids are pro-inflammatory. And that’s why we need more omega 3s, to bring back the balance and reduce the inflammation. Fish oils in particular seem to have the biggest benefit as they contain high amounts of EPA & DHA, essential fatty acids that many people are lacking in. Simply taking a daily fish oil supplement can help to boost these essential fatty acids. For people who follow a vegetarian diet or people who can’t stomach fish, an alternative to fish oil is flaxseed oil, which can be taken in capsule form or used as an oil on salads – something I tend to do every day. Cod liver oil is the most popular omega 3 fish oil supplement to take. Probably because it’s much easier to get than the other fish oils listed below. 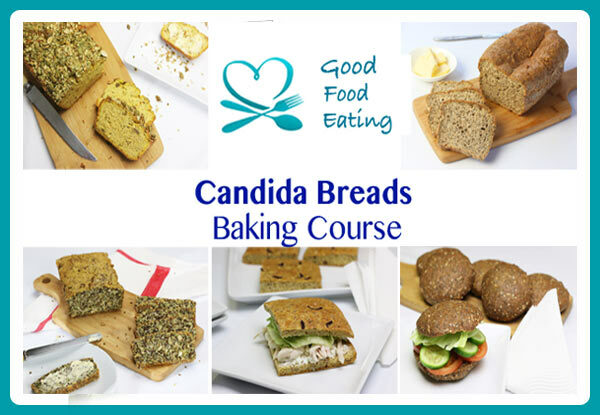 Each one provides a different ratio of EPA & DHA – the two most potent omega 3 fatty acids. The alpha linoleic acid in flaxseed oil converts to EPA & DHA. The process is not as efficient but still provides benefits. 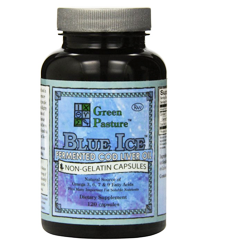 Let’s talk about another great anti-inflammatory supplement. Though it’s not commonly considered an anti-inflammatory, magnesium is at the top of the anti-inflammatory index. Magnesium is responsible for over 300 enzymatic functions in the body and is needed for overall optimal health. Choosing the right magnesium supplement is important as they aren’t all created equal. One of the common types of magnesium that you may find on the shelf comes in the form of magnesium oxide. You want to steer clear of this one. Although it has the highest percentage of magnesium, this magnesium is not available for absorption to the body. Some supplements combine a couple of different forms of magnesium. 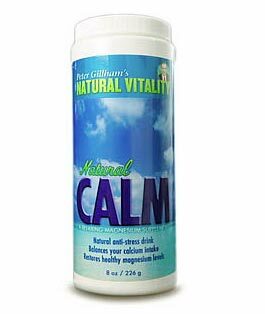 Natural Vitality’s Natural Calm magnesium powder is a very popular US brand. Looking for one in AUS? Try Muscle Resuscitation Powdered Magnesium by Herbs of Gold. You will often hear magnesium referred to in regard to muscles on supplement labels as it’s well known for assisting muscle recovery and cramps. One of the best parts about reducing inflammation in the body is that often you also reduce pain and discomfort, I’m sure you’d agree that’s a good thing! Using these two supplements, together with a healthy diet will help to effectively reduce inflammation in your body. 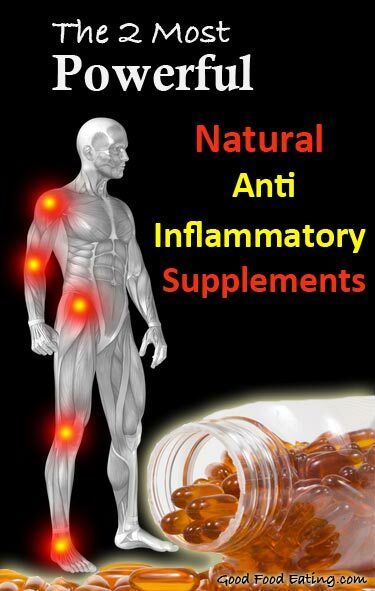 So make sure you get hold of your anti inflammatory supplements and start taking them on a daily basis. You will definitely notice a BIG difference. P.S. 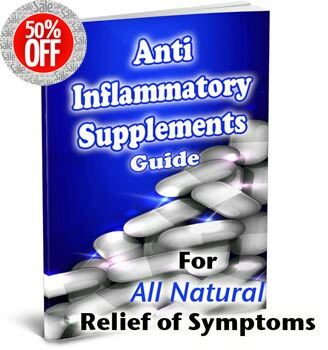 My Anti-Inflammatory Supplements Guide is 50% off right now. 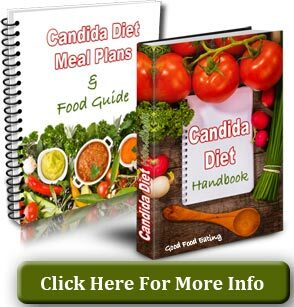 It gives you info on the top 8 anti-inflammatory supplements and a daily routine to follow for fast effective relief.